The holidays are right around the corner and it’s not too early to start thinking about holiday gifts!! Too often we avoid sending gifts to our clients because the cost is just too prohibitive, and while sending a card is nice, it often gets dumped in the trash with barely a notice… besides, Why send a regular greeting card when you can send a gift and thoughtful card all in one? 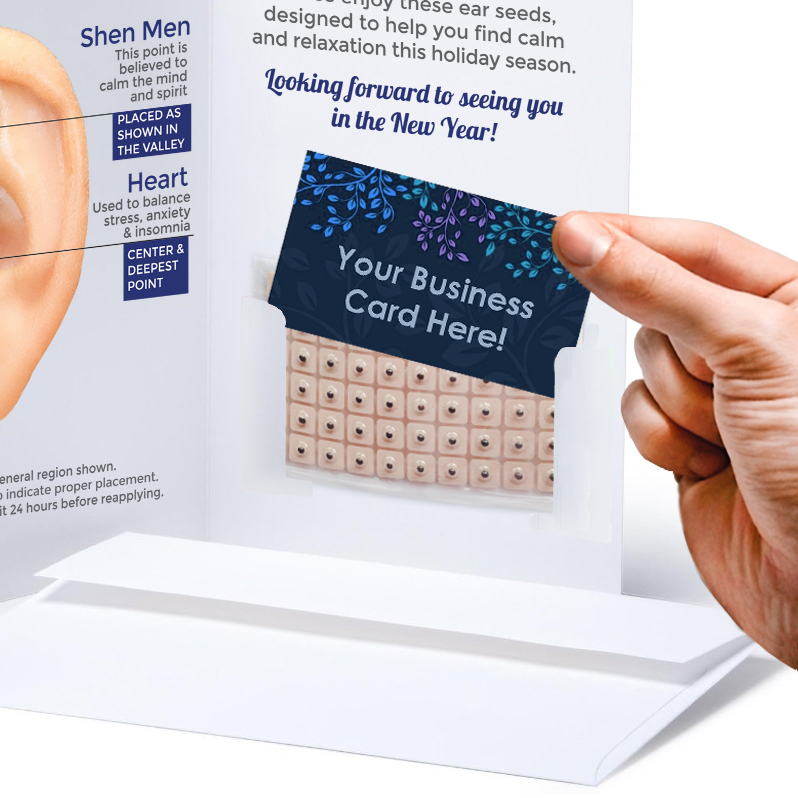 For LESS THAN the cost of a traditional card you can send your clients this unique + useful card, complete with a basic stress-relief and relaxation auriculotherapy protocol + 60 ear seeds!!!! Your patients/clients will wear these seeds and when they do, they will think of you. And when their friends and family catch a glimpse of the seeds, they’ll ask about them, and suddenly your patients will be enthusiastically talking about YOU at their holiday gatherings… what better, more affordable marketing solution could you possibly ask for? DON’T DELAY. These holiday cards sold out early last year and when they’re gone, they’re gone! 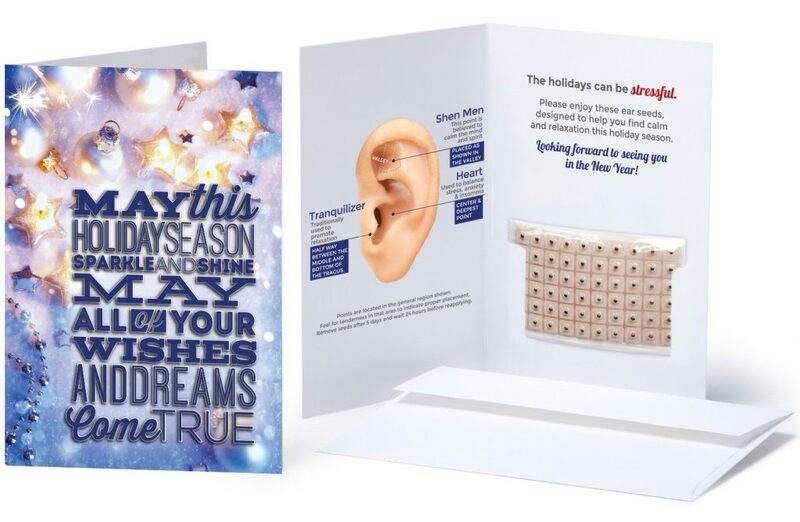 Click HERE to Purchase your Ear Seed Holiday Cards NOW.